More words of thanks for those who have supported my Go Fund Me campaign, “They Don’t Eat Alone in Spain” — a happily-ever-after, after divorce story … one that offers the possibility of joy without partnership –and my dream of manifesting blog into book deal. Today I secured a freelance writing assignment … in the bridal space! I was a little worried when I applied for the position as my most recent published work (Washington Post, XO Jane ) has been about divorce. I assured my new employer I would be delighted to write “from the other side” for a change. Maybe I’m getting ready to pen “a new chapter?” Or perhaps it’s just a nod to my moniker as writer, a reminder that I have lived and can tell many tales. And that I am a fun and flexible storyteller … like my friend Tanya Gazdik. 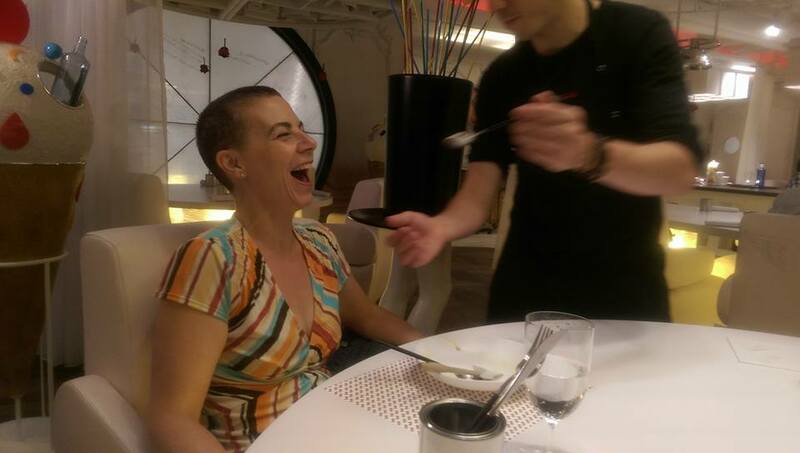 Many thanks Tanya for your generous support of the “They Don’t Eat Alone in Spain” campaign. And for your unyielding support of my writing for the past 25 years (Tanya was my first newspaper editor!) and my journey. Journals on lined paper. I told my teacher, Mrs. Blum, the words I wanted to say. She wrote them and I copied them on the line below. A sentence or two. Sometimes I would draw a picture … me in my pink ballet shoes. My mother saved all of these until I was 25 and she and my father sold my childhood home. I insisted they had to go. But first, we read each of them. A book on Paul Revere. We glued wallpaper scraps onto cardboard to create the cover and stitched the binding by hand. “One if by land, and two if by sea …” I had a tough time drawing a horse. Letters to my aunt in California. She owned a stationery store and sent beautiful cards and paper for me to write on. She was my first (and only) pen pal. I often wonder what I wrote. And marvel at her commitment to corresponding with an 8 year old. Several years later, upon my graduation from university, she sent me a Waterman pen. A luxurious elegance celebrating my commitment to my craft. Thank you to my “somewhat anonymous aunt” … for supporting me in every step of my writing journey. “They Don’t Eat Alone in Spain” — a post-divorce confessional, offering a contentedly solo happily- ever-after ending — promises to be a bit juicier than my 8-year-old letters or retelling of the ride of Paul Revere … but hopefully, equally heartfelt and true. Lisa has an economy of words that I am in awe of. She is a careful listener. Has (clearly) good intuition, the patience of Job, and a big, shiny heart. Many thanks Lisa for your generous donation to my “They Don’t Eat Alone in Spain” campaign, and for helping me tell the story of how 52 Artist Dates saved my soul, my sanity and my serenity after my divorce. How 52 Artist Dates gave my life creative structure, taught me how to really be okay with being alone and led me to a life I had only dreamed of. A life as a writer. A life lived overseas. These words were originally published on Go Fund Me, Facebook and Twitter … letters of thanks to those individuals who have supported my Go Fund Me campaign, “They Don’t Eat Alone in Spain,” and my dream of manifesting blog into book deal. Here’s to the power of intention. The power of community. And the power of creation. Just one day ago, I set (and announced) an intention to bring this campaign to $1,000 by the end of weekend. Thanks to the generosity of Lauren O’Rourke, Laura Krupka, Janice Frankel, AJ Benham and Michelle Brode that goal was met 24 hours ahead of schedule. Another $56 brings the “They Don’t Eat Alone in Spain” campaign to one-quarter completion. Push goal for the weekend? I say, Yes! A friend recently reminded me it is not enough to envision my goals, but that I must feel them too — the sensation in my body upon achieving them. I tried this technique twice this weekend … and reached both of my mini goals! 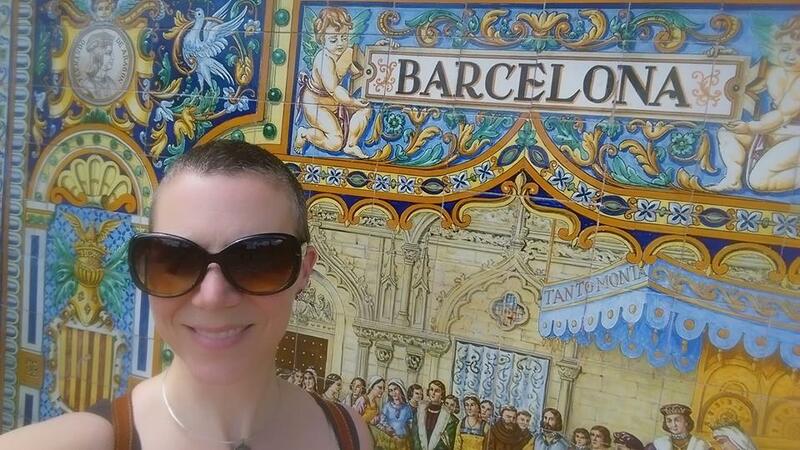 Many thanks to Alex Tower Ewers for meeting my intention with your generous donation and your beautiful words, “Because I believe in signs too.” With your help, the “They Don’t Eat Alone in Spain” campaign is now one-quarter funded. At its essence, this is the story of “They Don’t Eat Alone in Spain” — how I learned to live a wildly romantic life without a husband, a boyfriend or a lover. Many thanks to an anonymous donor (although not anonymous to me!) for supporting me in telling a divorce story with a different happy ending. My next goal on the journey from blog to book deal is $1250 — half the price of the writers retreat I will be attending this fall in Girona. Just $43 away … I can feel it in my bones. Can’t you? Want to know more about “They Don’t Eat Alone in Spain” — how 52 Artist Dates saved my soul after divorce and landed me smack in the middle of my own life, a life I always dreamed of? Or how to contribute to my Go Fund Me campaign? Click here.